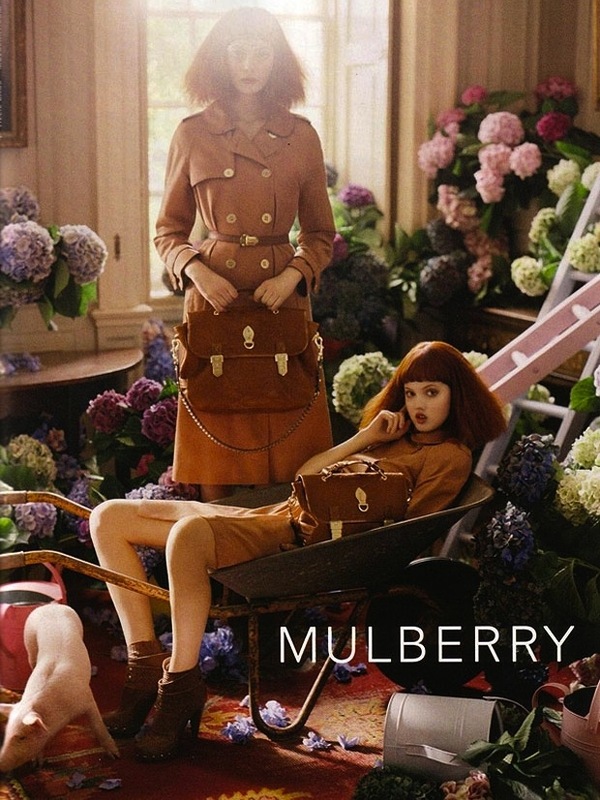 The Mulberry Fall 2010 ad campaign was one of my favourites of last year and I'm glad to see they've come with another fabulous campaign for Spring 2011. Shot by photographer Tim Walker, these images are so romantic and I absolutely adore the hydrangea (hortensia?) with its stunning colours. Models Lindsey Wixson and Nimue Smit are just perfect for this campaign as well - love it.